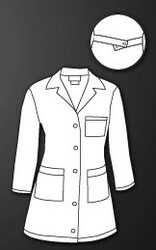 Ladies' 40" Ladies A- Line Coat. 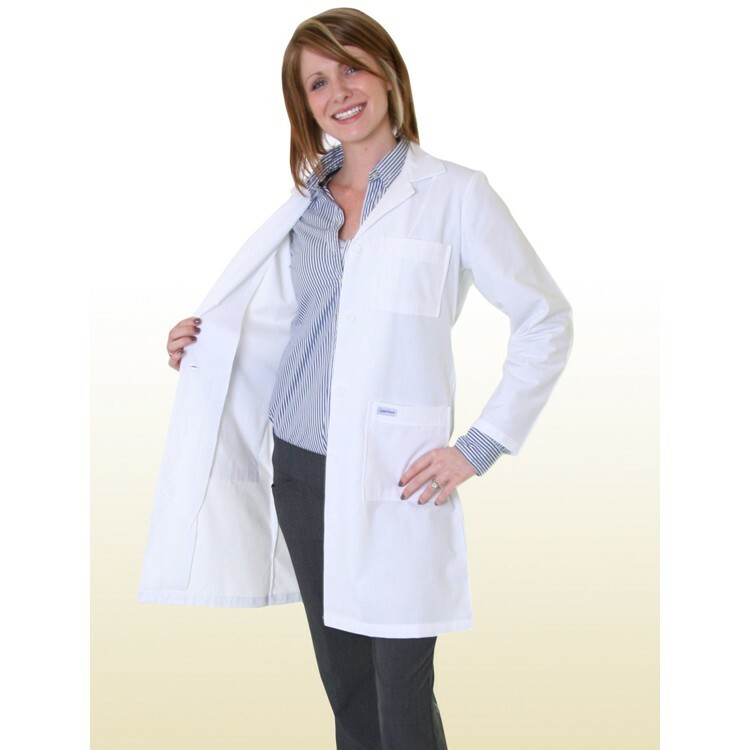 This classic ladies lab coat is 40"-length with shoulder darts and adjustable 2-button, swing-back belt to give that feminine fit. This lab coat has 1 left chest pocket, 2 roomy lower pockets, and 5 button-front closures. 65/35 PC Poplin 5 oz.